We Rock SEO – If you build it, they will come! 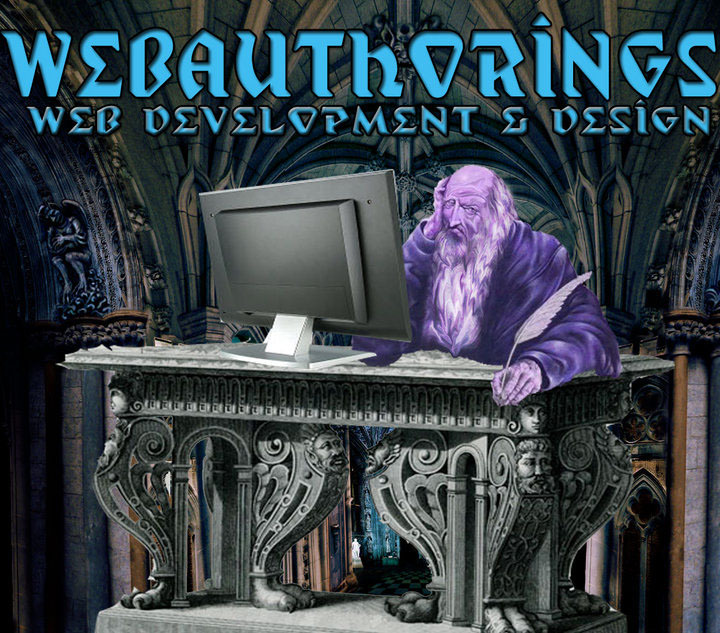 An old graphic once used for our parent company, WebAuthorings. I usually say, “If you build it, they will not come!” in regards to a website. However, if you build the content properly, and market it the right way, they absolutely will come! Having quality content on your website is one of the most important aspects of SEO marketing. People will come, but only if you build your SEO the right way. SEO companies in Philadelphia know the importance of good content on your site. If you are teetering between doing SEO yourself and hiring a professional to tackle it, you have to first understand what SEO is and how important of a role it plays in your company’s reputation. Regularly posting fresh content on your site is one of the easiest ways to introduce potential clients to your brand. Blogs and articles are how your site will get recognized on search engines, You may find in the end that it will save you a lot of time and aggravation by hiring someone to do the hard work for you. But knowing how it works, either way, is detrimental to your website’s future success. Posting content is crucial to your viewers but posting the right content is what gets you noticed. Search engines like Google use keywords pertaining to your industry and use this to give your site rankings on the search engine. You need to find out which keywords and phrases people are searching for in your industry. You need to keep track of how many times you work the keywords into your content writing. You then need to track where you rank for the keywords you are using. Sounds too complicated or like too much work? This is when an expert might come in handy. Keywords are not only important to get your site ranking on the search engines but knowing where to put them is equally as important. Using the keyword or keyword phrase in your article title and in the first and last paragraph of the actual article. By doing this, the keyword will stand out to the search engine as well as to the readers. People searching for that particular keyword or phrase want to know more about it so they can buy it. Having a more descriptive keyword phrase will help tremendously. An example might be the keywords ‘pizza place’. The phrase is very vague and very general. Adding the word ‘best’ creates a more relevant search phrase. Add a locale and it takes it where it should be. The final phrase, ‘best pizza place in center city’ is something that most typical people visiting that area will search for on their phones. If the blog article has the proper content to that title or keyword phrase, chances are your page will score with the engines. It’s easy to just throw keywords into an article but you need to actually write something people will want to read and it needs to be about your business/industry. If you decide to have someone write your articles for you, teach them about your company and the industry as a whole. It is important to try and write articles that are pleasing to the reader but get your business recognized without sounding like one big ad campaign. Quality is the key to having a great article but if you are only shelling out 100 words, it won’t get the job done. In the world of SEO, 500 words is the norm for a blog article. It is short enough to keep the reader engaged but long enough to get the point across. In the world of SEO content writing, these tips are key to writing successfully. If you are busy trying to run your business, leave the content writing to the experts. We Rock SEO is an SEO company with a heavy client base in Philadelphia who can give you good, quality content for your site and get you noticed in those search engine rankings. Give us a try, contact us today!